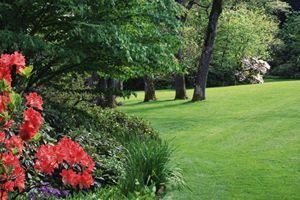 Greentrail Landscape & Design, Inc.
D&D Landscape and Sprinkler Services, Inc.
Jackson & Son Landscaping, Inc.
Cal and Shan's Landscape and Design, Inc.
Care, Beauty, Development Landscaping, Inc. Comment: Looking to get an estimate on spring clean up for the front yard, back yard, and side yards of my house. Looking for weeding of plant/mulch areas, munching tree rings, re-mulching of plant/mulch areas, possible bush, and root removal, edging of lawn, and first mow. Looking to hire weekly or by weekly lawn mowing service as well. Thank you! Comment: We have large bare spots in the front yard and need to replace the old grass that died. Crystal Lake Landscaping Companies are rated 4.75 out of 5 based on 1,185 reviews of 51 pros. Not Looking for Landscaping Contractors in Crystal Lake, IL?